Do you ever dream of publishing a book that hits The New York Times bestseller list? Do you watch other people routinely achieve bestseller status, such as Brene Brown, Tony Robbins, James Patterson, or John Maxwell, and wonder how they do it? I’m about to pull back the curtain and give you a sneak peek inside the process. Publishing a book is one of the most effective ways to grow your personal brand and build a business. Publishing a New York Times bestseller is considered the gold standard. The achievement can lead to more speaking engagements, higher fees, other book deals, major media exposure, expanded consulting opportunities, etc. But, how do you make the list? Is it magic? Is it money? Many authors wonder why their books don’t become bestsellers when they see others reach the summit. The process may seem easy from a distance, but it’s a lot harder than most authors realize. As a book marketing consultant, I’ve helped clients hit The New York Times bestseller list three different ways, including new non-fiction, new fiction, and backlist non-fiction. In total, my clients have produced 11 New York Times bestsellers. I’ve also worked in the publishing industry for over 10 years and published two books myself. From a personal perspective, I’m not a fan of authors who “just want to hit the list.” Too many authors have developed a fanatical obsession with becoming a bestseller. That’s an egotistical point of view. In fact, I no longer accept clients who say the bestseller list is their primary goal. Publishing a book should be about sharing a message or story with the world to educate, entertain, or inspire other people. In contrast, hitting a list tends to be more about satisfying personal ego. I work with clients who want to build long-term platforms that grow over time. If their book happens to make a bestseller list, that’s just icing on the cake. Why would I share an insider’s view? An educated author tends to be a more successful author. In my experience, a lot of authors and business leaders have unrealistic expectations about becoming a bestseller. Some think it’s easy to hit the list or even believe they can cheat the system. If you’re reading this article, you’re probably intrigued about the possibility of becoming a bestseller. Before you go down that road, allow me to help clarify the details that are involved. When you see all of these lists and slots, it would appear that there are plenty of opportunities to become a bestseller. However, there’s a catch. The New York Times allows the same book to hit more than one list at the same time. In other words, the same 10 – 15 books take up the majority of all the available slots every week. In addition, most self-help books and business titles are limited to the weekly Advice, How-To & Miscellaneous List where competition is extremely fierce. You’re fighting for space against an onslaught of diet and weight loss books, relationship books, religious books, humor titles, celebrity memoirs, etc. The battle is like watching hundreds of people all try to cram into WalMart right when they open the doors for a Black Friday Sale. Under that level of pressure, how does a book actually make The New York Times bestseller list? 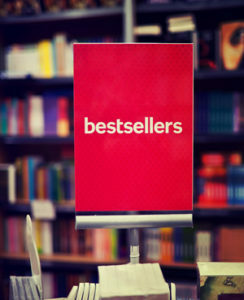 How Many Sales Does It Take to Become a Bestseller? If you want a realistic shot to become a bestseller, you must sell at least 5,000 – 10,000 copies in one week. The necessary amount fluctuates based on the level of competition and the number of new releases during each week. The non-fiction lists tend to be more competitive and usually require weekly sales of 7,500 copies or more. The New York Times counts weekly sales starting the previous Sunday through Saturday. Also, books must be traditionally-published and sold in bookstores nationwide. Self-published titles are rarely accepted, except for occasional novels on the fiction lists. Think you can sell 7,500 – 10,000 books in a week? If so, don’t get too excited. The challenge gets harder. You cannot just sell 10,000 books on Amazon to people in one city, state, or region. The New York Times requires that book sales be spread across America using multiple retailers, including Amazon, B&N bookstores, Books-a-Million, independent bookstores, etc. Sales must be dispersed, rather than concentrated. Is it possible to rig the system? Yes, there have been occasions when authors used their own money to buy thousands of copies on their books. It’s an expensive process than can cost $100,000 – $250,000. The self-funded orders are processed through shady third-party companies who covertly place large bulk purchases through bookstores that report to The New York Times. Most people, including myself, consider this practice unethical, because the sales aren’t based on actual customer orders. Is there an ethical, more effective way to become a bestseller? Yes, the answer is called “pre-order sales.” A pre-order occurs when someone buys a book before the official release date. For example, if a book isn’t available to buy in-store until November 1st, people can still buy the book beforehand and wait for it to be shipped. Pre-orders are usually accepted by all of the major online retailers 4 – 6 months in advance. Pre-order sales are important for two reasons. First, publishers use pre-orders as leverage to convince retailers to stock up early on a new book. Filling the distribution pipeline before the launch date is crucial to maximize sales and boost the bestseller potential. If distribution is weak and availability runs out then a book can get listed as “out of stock,” which can ruin all hopes of hitting a bestseller list. Second, there’s a secret about pre-orders that many authors don’t know. The New York Times allows all pre-orders to be counted towards a book’s first week of sales. For instance, if you sell 5,000 pre-orders before release and another 5,000 copies during the first official week, your first week’s total sales will be recorded as 10,000 copies. This odd reporting method allows authors to get a head start towards hitting the bestseller lists. It’s a lot easier to sell 10,000 copies in the “first week” when you get 4 – 8 weeks beforehand to solicit significant pre-orders. 1. Build a large email list with at least 25,000 – 100,000 subscribers. Why email? Research shows that email is 12 – 40 times better at producing sales than all social media platforms combined. If you use social media, focus on Facebook for targeted advertising efforts. 2. Speak on a frequent basis and swap out the speaking fee for a bulk book purchase, such as 250 – 1,000 copies. The bulk sale is run through a reporting retailer, such as Barnes & Noble or Books-a-Million. Then, books are shipped to the event attendees after the release date. Bulk sales need to be spread across America using different retailers. If sales are concentrated to one area or one retailer, your book can get flagged by The New York Times and banned from the bestseller lists. 3. Ask business clients to buy books in bulk for their employees. I know authors who have received orders of 500 – 5,000 copies using this approach. Adding a custom cover jacket for the client or a special insert inside the book can help increase interest in this special type of purchase. 4. Schedule numerous appearances with other influencers to access their large audiences. For example, interviews on well-known podcasts, TV shows, popular blogs, or video webinars allow for exponential reach. Shrewd authors develop a network of influencers who they can tap when needed to help promote a book during the critical pre-order phase. 5. Create a launch team of 500 or more rabid fans who agree to conduct promotional activities in exchange for exclusive benefits. Typical activities include posting details about a book on social media, writing reviews on Amazon, forming book clubs, etc. Their efforts are rewarded with exclusive conference calls from the author, bonus content, product discounts, backstage access at events, etc. The options for incentives are limitless. However, success is based on how well you create a sense of scarcity and urgency. For instance, make sure people realize that all incentives disappear after the release date. People must feel a potential negative consequence to overcome their natural sense of procrastination. In my experience, most pre-orders still come in the last two weeks before the release date. But, that final rush can make all the difference between hitting and missing the bestseller list. Now you know the secrets of hitting the most prestigious bestseller list in the world. 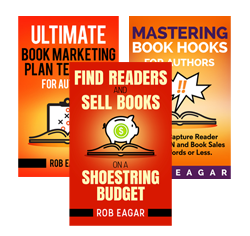 If you want to become a New York Times bestseller, you don’t need a huge advertising budget. You don’t need your own radio or TV show – although that helps. Instead, you need to generate thousands of pre-orders. You can accomplish that goal by building your own audience through email, connecting with other influencers to access their fans, and offering irresistible pre-order incentives. That’s the recipe for success. If you try those steps and don’t become a bestseller, you can always fall back on writing a diet book. Drop me a comment below. What’s your view of The New York Times bestseller list? Do you think it’s possible to become a bestseller? Do you think the lists are overblown? You asked if you think best-seller lists are over-blown. Yes. I do. People tend to buy books that deal with the subjects they’re interested in, not what’s popular. . .unless it’s a hot fiction book. Nevertheless, your suggestions about how to sell a lot of books are great! Thank you, Rob. Thanks for the compliments on the article, Sheri. Glad you found it helpful. Thanks, Kourtney. Per your question about the mechanics of building a mailing list, the two proven keys are giving away an irresistible incentive of free content and making email signups the #1 focus on your website. Try that approach on your author website and I promise you’ll see better results. Hello Rob, this is great information.